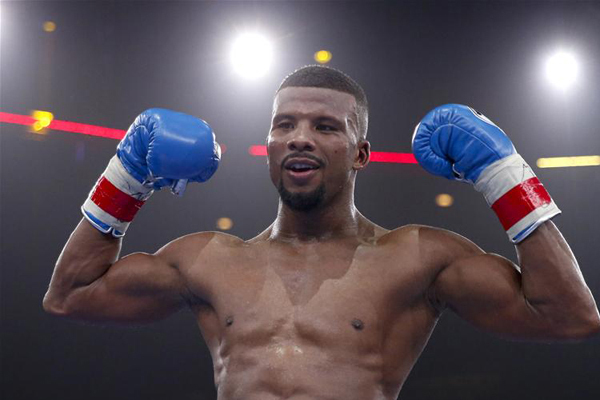 In the first major boxing broadcast of 2017, Badou Jack and James DeGale put together a potential Fight of the Year Candidate, exchanging knockdowns and furious exchanges, en route to a Majority Decision Draw. Both men retain their shares of the super middleweight crown. Both established their credentials as true, main-event stars, as well. Jack came back from a flash knockdown in the first round and put in solid work to the body throughout the rest of the fight. In Round 12, Jack caught up to DeGale with a big shot, depositing him hard on the canvas. DeGale beat the count and composed himself, but he still appeared to be at his last grasp, with a whole lot of time left in the fight. DeGale showed true bravery and pluck to make the bell. He did not escape the bout without signficant damage, losing a tooth and hurting his ear drum. I missed short moments of some rounds while checking on the New England Patriot’s dismantling of the Houston Texans, so I cannot provide a truly accurate scorecard. Based on what I did watch, combined with a round-by-round breakdown of the punch stats, I feel Jack probably should have won a close fight. But it was by no more than a score of about 114-112. So by no means can this be called a robbery. I am frankly surprised by the outcome. I expected a competitive bout, but expected DeGale to win a decisive victory. That is certainly not what happened. What did happen was a back-and-forth war, with both men able to showcase their grit and skill. As commentator Paulie Malignaggi noted at the conclusion, their was a lot of great skill demonstrated amid a lot of intense action. That takes special fighters. Hopefully we see a rematch here, although Jack’s promoter, Floyd Mayweather, said he would go to light heavyweight. If Jack does move up to 175, I would love to see DeGale against WBO champion Gilberto Ramirez, an undefeated 6’2.5″ inch boxer-puncher.